Price Includes :- Flights, Accommodation, Transfer. The Grand Hotel Courmayeur Mont Blanc is situated in a peaceful, sun-drenched area close to the pedestrianised centre of Courmayeur. Price Includes :- Flights, Accommodation, Transfer. 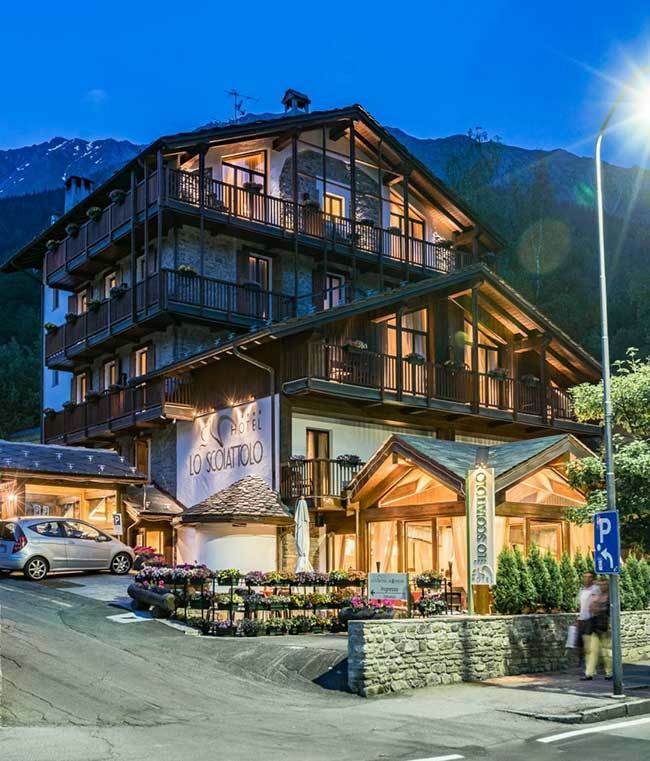 Hotel Le Massif is a fabulous new hotel for the 2018/19 season set in the exceptional Italian ski resort, Courmayeur. Price Includes :- Scheduled flights, Accommodation, Transfer. The Royal e Golf opened in the early 1900s and still retains its rather grand appearance with large public rooms and spacious bar with live music. Price Includes :- Flights, Accommodation, Transfer. The Grand Hotel Courmayeur Mont Blanc is situated in a peaceful, residential area, just a stones through away from the pedestrianised centre of Courmayeur. Price Includes :- Accommodation. Au Coeur des Neiges is a charming hotel in the heart of Courmayeur, Italy. The hotel offers multiple types of apartments and chalets, perfect for privacy and a tranquil stay. Price Includes :- Scheduled flights, Accommodation, Transfer. Hotel Auberge de la Maison, referred to as a 'big home in the mountains' is a beautiful property perfect for skiers in the Courmayeur resort. Price Includes :- Scheduled flights, Accommodation, Transfer. Price Includes :- Scheduled flights, Accommodation, Transfer. The hotel is situated in a fantastic location close to the centre of Courmayeur, 100 metres from the pedestrian area and a ten-minute walk to the cable cars of Courmayeur and Dolonne. Price Includes :- Scheduled flights, Accommodation, Transfer. Run by the Truchet family, the Pavillon is a delightful hotel in an excellent position, only a few minutes walk from the main gondola. The staff are extremely friendly and very welcoming to families. Price Includes :- Flights, Accommodation, Transfer. The Hotel Svizzero is located a stone’s throw from the centre of Courmayeur and offers an unforgettable stay in an exclusive and comfortable setting. The2019/2020 ski package deals featured on J2Ski include cheap ski holidays to Courmayeur as well as luxury chalet holidays and family ski vacations. The price quoted usually includes flight and ski accommodation in resort, though many can be booked with alternative travel to Courmayeur. Ski and Snowboard Holidays to other Ski Areas within Aosta Valley. Ski and Snowboard Holidays to other popular Ski Areas near Courmayeur. Ski Hire Shops in Courmayeur. Piste and Lift Stats for Courmayeur, Italy. For current snow conditions, see our Courmayeur Snow Report.